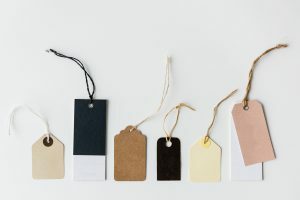 After the team has brainstormed a long list of behaviors affirmed and practiced by the community, it’s time to reverse engineer those behaviors into value categories. I like to use the bin sort exercise. Each behavior is written on an index card. Looking at the list of behaviors, I create approximately five categories, or bins. These bins can be represented by bowls or by different tables. If I see that several items point toward prayer and several others point toward honesty, those might be two of the categories and I would call one bowl “prayer” and another bowl “honesty.” The categories should be broad at this point. There’s also always one additional bin representing the miscellaneous category. Any behaviors that don’t fit clearly into any of the other bins go here. Is there one bin that’s much bigger than the others? If so, could it be divided into two different bins? Are there some bins with very few behaviors in them? Potentially these represent aspirational values, or perhaps they are not as important as we initially thought they were. Would some bins be better renamed based on what’s in them? When you look at the behaviors in the miscellaneous bin, do you see any themes or groupings? Do any additional bins need to be created? The end goal is a set of categories from which everything else can be derived. These categories then are fine-tuned as values. There might be things like “servanthood” or “Christ-likeness” or “cultural relevance,” in addition to “prayer” and “honesty.” Underneath each of these are specific behaviors to help everyone understand the difference between the value and the behaviors that represent it. Finally, look for anything that’s obviously missing. For instance, maybe you don’t see much related to “mission” or “outward focus.” You may have missed a category, or you may have discovered a value you’d like to work toward as a community. Next up—and the topic of our next blog entry—is reaching consensus with your team. If you found this blog post helpful, you may be interested in The Goals and Objectives Skill Builder.